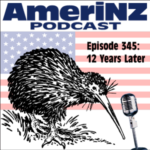 Today is the 12th Podoversary of the AmeriNZ Podcast, which is significant, even if the specific number isn’t, because both the podcast and I are still here. I talk about that today, but first I have some updates to last week’s episode first. This episode isn’t really a celebratory episode as such, but at the end I have an audio montage I created for this episode. Wendy made me do it. Only ten days and another episode! And, it’s the first day of Autumn. Time to update something I talked about two episodes ago, then it’s on to some things in the news that happened since the previous episode. A couple housekeeping things and that’s it. This year is off to a roaring start—and I’m ahead of schedule, apparently. 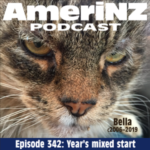 This episode is about the two main events so far this year: My birthday in January, and the death of our cat Bella last week. I do the sad part first. My birthday celebrations basically lasted a week, which was nice, and I talk about that, as well as why this particular birthday was such a big deal for me. I also have good intentions for what I’ll do about it—or maybe it’s “with it”. All my blog posts about Bella are tagged ”Bella”. Last chance to post an episode before the USA’s Thanksgiving holiday, so here I am! I begin talking about the Pike River mine disaster, because we’ve had a major development. Then, it’s a sad and fraught story about division and a huge fight in Auckland’s “rainbow communities”. I also talk about how I’ve had to explain the USA’s recent elections to New Zealanders, which isn’t new, actually. Then I have a question and some comments from the previous episode. Consider this the aural equivalent of a Thanksgiving feast! 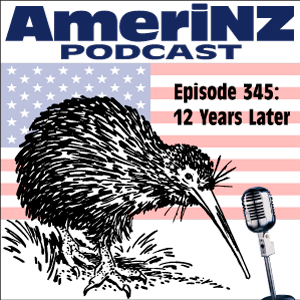 Today I talk a bit about how the Royal Tour was received in New Zealand. That leads into a couple other issues in the NZ news. 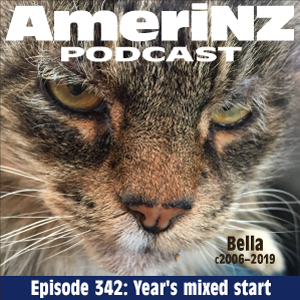 I also provide a wider explanation of something I talked about in AmeriNZ Podcast episode 338. Last time, I also had some health updates and I had colds. This episode has similar topics, as it turns out. And, today is a big anniversary. This is a LONG episode, but it was so much fun to record! 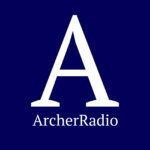 One of the first podcasts (other than my own) that I was on was a group show on the original ArcherRadio (his episode 421). That was WAY back in March 2007. Then, he was on my podcast—episode 8—in May 2007. So, we have a long history—and it shows in this chat, I think. 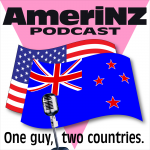 We cover a lot of the LGBT podcasting history we experienced, a bit about where it’s heading, and all sorts of other things. Interestingly, despite our shared passion for politics, we don’t really talk about it much—THIS time! 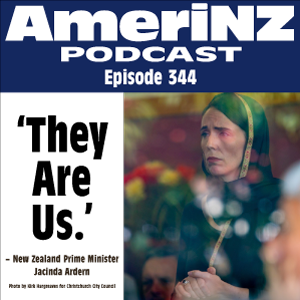 It was fun, but back to normal AmeriNZ episodes soon. Despite a few obstacles, I’m back. 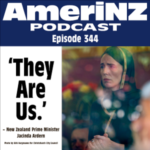 First, though, I give the end of the story I talked about in the previous episode: New Zealand got a government. Mainly, though, I talke about the several obstacles to my being able to podcast (or blog, for that matter). 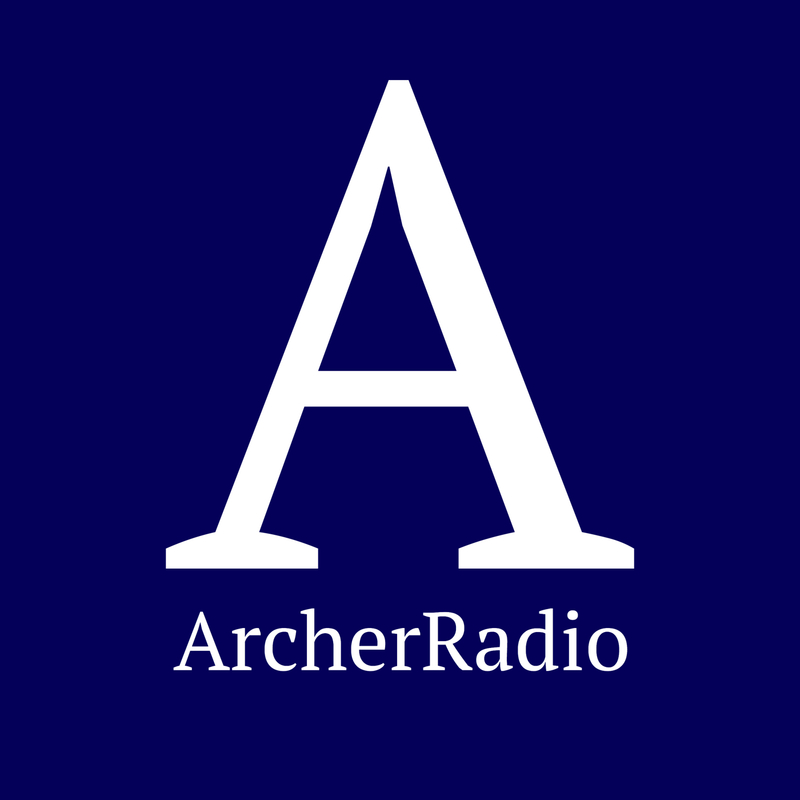 ”The Tim Corrimal Show” – Tim told me the podcast site was broken, so go check out his show!